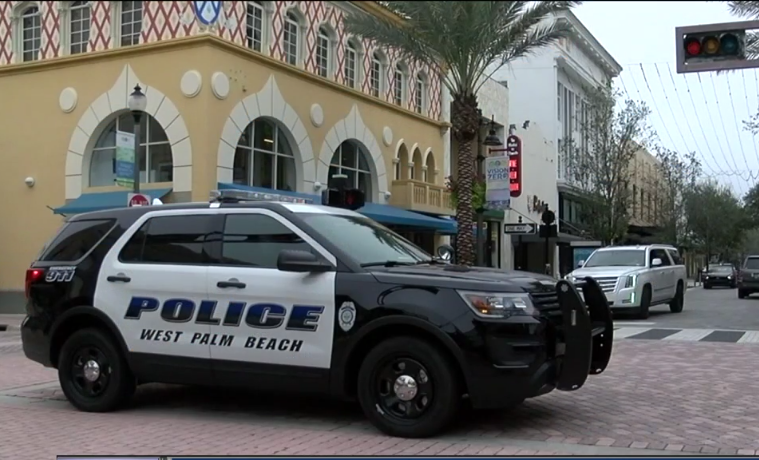 WEST PALM BEACH, Fla. — Once again businesses in downtown West Palm Beach are defending the safety and security of Clematis Street after two men were stabbed. Police said the two men were stabbed after an argument involving several people around 3 a.m. Monday on the sidewalk in the 200 block of Clematis St.
Not many businesses were opened at the time, but they say when something like this happens they have to work real hard to show their customers its still safe to come downtown. 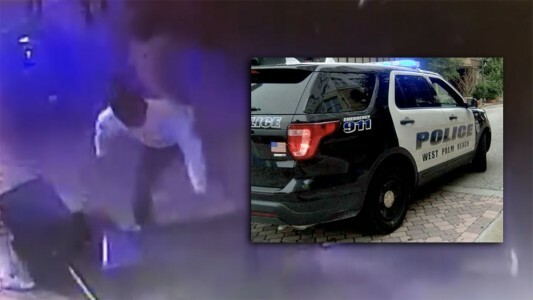 The surveillance video of the incident shows a man in a white shirt, launching at people and stabbing them with an object, then there was a scuffle. "It happened at 3:09 in the morning, most people aren't even out at that time," said the assistant manager of Clematis Street News Stand, known as "Momma." She says the stabbing did not impact business Monday morning, except for a late start on opening the business because the street was taped off. "It's still a safe place to come down. People can still come down here and enjoy the businesses, walk the streets, enjoy Florida. Enjoy Clematis Street," said "Momma." Police said alcohol was a factor in the argument and stabbing. "Typically, we have had a handful of problematic businesses that they are taken with providing security inside their venues as an alcohol establishment, as part of their alcohol licensing, and when they don't manage that security properly inside their businesses, the problems wind up spilling out on the street," said Raphael Clemente, the executive director of the Downtown Development Authority. Despite this incident, Clemente says Clematis Street has been thriving. "We have so much private sector investment here, we have two new hotels, we have multiple residential properties," Clemente added. Some business owners say seeing Clematis Street on the news scares people away, "Momma" says she sees everything from her window seat and says there's no reason to feel unsafe downtown. "We're open for business and we're here to help people," she said. Police have not provided a description of the suspect or suspects. The two men hurt are in the hospital, but are in stable condition.